Squash. Probably not the most exciting food out there, but it deserves attention. You know, Native Americans﻿ grew corn, beans, and squash together. The beans climbed the corn stalks, and the squash plants covered the ground. The three together were called the Three Sisters. They were beneficial for the health of each plant and made a sustainable food source. I have grown all three plants before in our garden, but I did not do it that way. Our garden was arranged in rows. The corn didn't do so well. They were infested with earwigs. Half the bean plants just up and died. But the squash plants were great! That year, we discovered we grew awesome onions and tons and tons of potatoes and carrots. This summer, we built new garden boxes following the All New Square Foot Gardening book my cousin sent me. We didn't get it done in time to grow squash, but we did get a few things in. Next year, I will grow lots of squash, especially acorn squash. They are sort of cute. As a kid, my mom would make these with butter, sugar, and cinnamon for dessert. I didn't like squash back then. Now I do and sometimes, I make it just like Mom. 1. 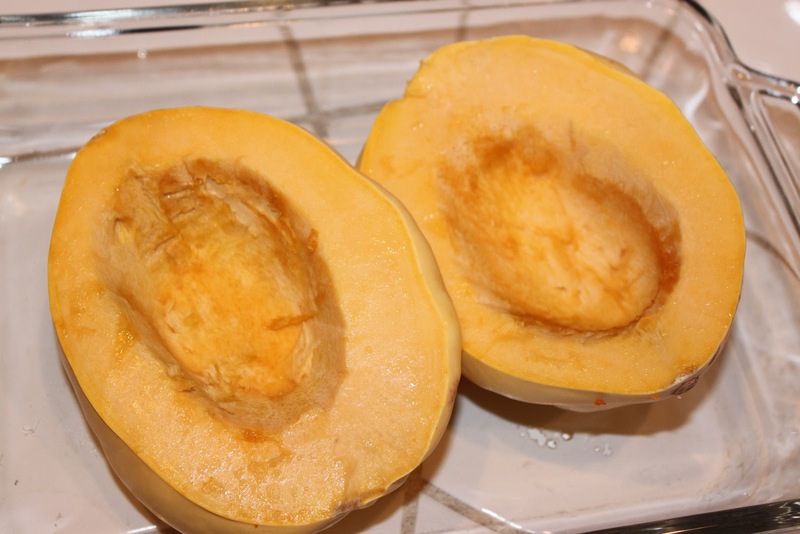 Cut squash lengthwise in half. Remove the seeds and seed membrane. 2. 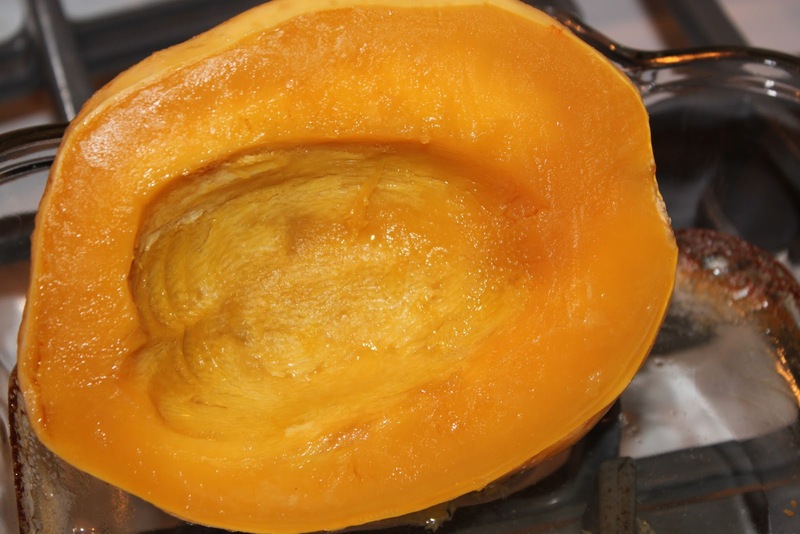 Place squash cut side down in a glass dish. Fill with water to about 1/4 inch deep. A little more water is OK.
3. 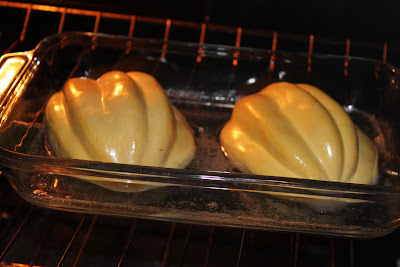 Place in preheated 350F oven and roast about 45 minutes, or until squash is tender. 4. Fully cooked squash will be very tender and the color will deepen a bit. You can stop here and serve these cut into chunks or quarters, which will serve 4 as a side dish. You could also give an entire half to one person, then one squash serves 2 people. 5. If you want to enhance the sweetness, flip over cooked halves and fill each with 2 Tablespoons butter, 2 heaping Tablespoons brown sugar, a good sprinkle of cinnamon, and a dash of cardamom. Return to oven just long enough to melt the butter. Sometimes, I like this as a dessert, or even just alone as a comfort food.